Life has not been easy for fifteen-year-old Jenna Cooper. Her father was murdered when she was just a baby, her mother is sick, and she must help her brother keep the remaining family together. When she finds out her father’s killer is getting out of jail she sees her chance to confront the person who destroyed her family. But will Jenna find closure or just more questions? A fantastic book the truth doesn’t always set u free silly , silly Jenna. The past is the past, live for the future. 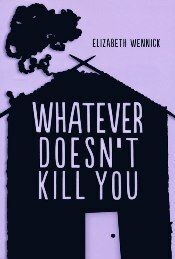 Still reading what ever doesn’t kill you and I wonder if he will talk to Travis Bingham and if he will be friends with his friends? Taking it out my friends say that it’s very good!!!!! This book is a mystery because the girl is trying to find out who killed her father.